Catch two or three Nigerians talking – for the sake of this piece, imagine the conversation taking place in a pub, or what we Nigerians like to call, or deride, as “beer parlour” – about tech start-ups and the geeks behind them, you are likely to see and hear them talk animatedly about some latest tech wizard who’d just came up with a killer App in San Francisco’s Silicon valley that’s surely the next big thing in the tech world, and how Facebook and Google are in a do-or-die corporate battle to pay billions of their top dollars for this newest wonder of the tech world! The discussion would race rapidly into how these American tech guys are awesome, how their government had created the magical, all-accomplishing “conducive environment” for them to just pop out tech “solutions” at the drop of the hat, which instantly makes these “tech guys” billionaires in dollars overnight, even if they are high school dropout. Our imagined palm-wine polemicists would, inevitably, begin to exchange names and exploits of such American (they are ALWAYS American, not British, not French, not Indian, not Chinese; Nigerians or Africans (mark you, Elon Musk of Tesla was actually born and raised into his teens in South Africa; he is African, flesh and blood, to cite just one tech wunderkind from among us!) are a no, no, and that despite the fact that the nationals of these countries or continents are known to be tech luminaries – the more teen, the higher the chances of making the list – and how these guys thumped their nose at almighty Harvard, dropped out of Yale or MIT to create billion-dollar-churning Apps at the mere thought of it! You might meet with some addlepated gaze laced with some subtle hostility, if you dare to wade in at this juncture and tell our imaginary Bacchanalians that there are indeed some Nigerian tech prodigies, not in the US of A but here in our blighted, much-maligned Nigeria, doing great stuffs mentionable in the same breath as Mark Zuckerberg of facebook! Well, this this might seem heretic to your now tipsy audience – tipsy from both the copious consumption of the liquids in green bottles before our revellers-debater and giddiness induced by the supposed ease with which these university dropout American tech guys make billions of dollars “from just one App, my brother, incredible!” And perhaps, this might even seems a tall tale to you too, our dear reader of The Dream Daily Newspaper! We can indeed assert without equivocation and any fear of falsehood that indeed there are young Nigerians doing great tech things in this country as you read this piece whose creative and entrepreneur trajectories inspiringly mirror those of Mark Zuckerberg, Larry Page, Sergey Brin, David Filo and Jerry Yang, and who could and indeed should be mentioned in the same narrative as these famous founders of Facebook, Google and Yahoo, even if they don’t have billions of dollars, yet, to show for their tech genius. Devastation and bitterness galled the young Obi as he left his ancestral home in Uturu, Abia State for Zaria, Kaduna State, the N10,000 depleted by N2,500? He paid for the 11-hour journey to ABU, with no practical idea of how to pay the fees to start his degree, talk less of finishing the 5-year programme. It also happened that the Academic Staff Union of Universities (ASUU) were on strike as the young Obi ruminated in the bus to Zaria. The Zuba stop and detour to Abuja was both a literal and figurative end to ABU, Zaria for Obi, and his venture into the business world: “My brother was hustling in Abuja in those early days of GSM phone in Nigeria. I decided to join him in the business, if you can really call that a business. I decided to invest part of what I have from my father’s N10,000 into the GSM research card business. That time not everybody knew how to load research cards. We charged N100 for loading recharge cards of any denomination. That was how I started. We started what people now call the GSM Village in Abuja from Nwaora Plaza close to NITEL Office Wuse 2,” Obi reminisced. What’s more? 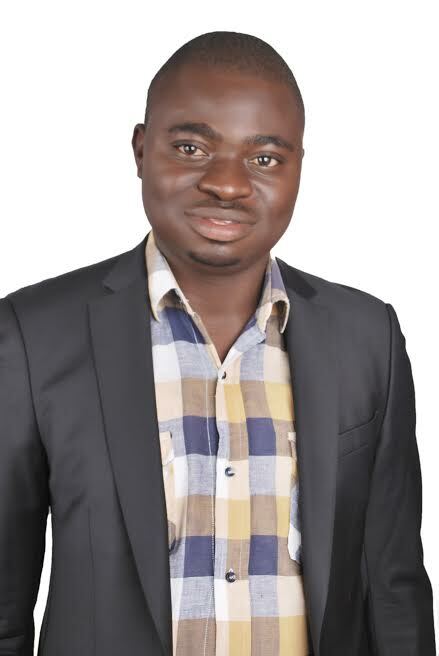 The young, visionary Obi sees the future of his ICT retail business online, hence he has sent up Nigeria’s first exclusive ICT gadgets online store, www.mcsteveonline.com, where buyers shop for phones and over 5,000 ICT-related products, and place their order which is shipped to their doorsteps nationwide. An avid reader, Obi’s passion for the ICT business was kindled as a read “a book on how Steve Jobs and Steve Wozniak started their journey into the world of ICT in a garage which gave birth to the Apple brand.” From his small start, Obi began to realise that he was into something big in business “at a point when I started to develop and implement new ideas to grow my ICT business. How did it feel moving from such humble start to a place like Banex Plaza? “I felt like a conqueror who had conquered a small league from a humble beginning and was heading for the big league to play with the big players,” Obi told The Dream Daily Newspaper.